- Get the fastest WiFi speed available – up to 3.2Gbps - Tri-Band WiFi delivers more WiFi for more d.. Inside or out, we’ve got your wireless 802.11 b/g/n devices covered. 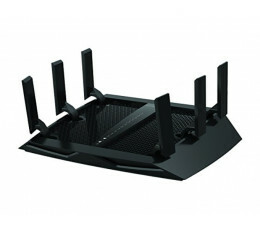 Optimal for medium range indoo..
-Wirelessly surf, email, stream HD video, on-line game, make Internet phone calls. -Less interferenc..
- Extends wireless coverage; - Universal compatibility; - Easy install - no CD required; - Connect h.. The NETGEAR N300 Wireless USB Mini Adapter allows you to upgrade older laptop's WiFi and connect to ..